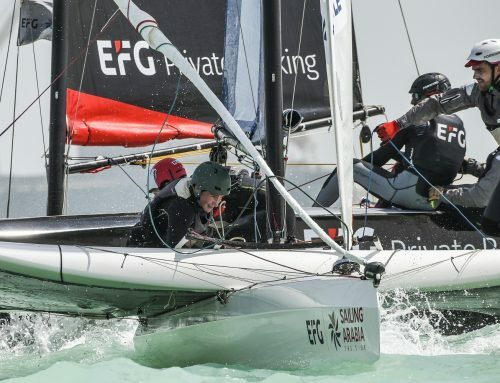 Muscat, February 3 2019: EFG Sailing Arabia – The Tour got off to a flying start in Muscat on Sunday, the two-week challenge getting underway in a brisk breeze that saw the international fleet hitting 20 knots as the seas began to build up off Marina Bandar Al Rowdha. The four races completed produced three different winning teams, suggesting a tight contest all the way to the final venue in Salalah. 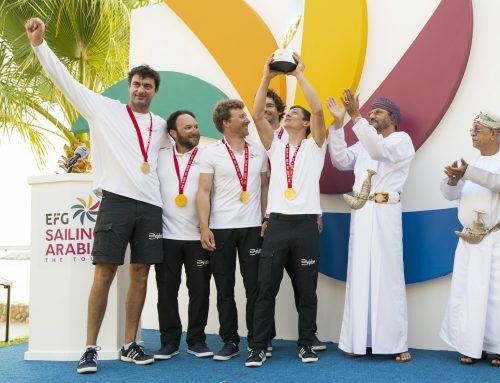 However it was the young French team on Golfe du Morbihan – with two wins and a second place – who topped the table after the opening skirmishes of what is going to be a long adventure all the way down the coast of Oman. Earlier in the day the Minister of Sports Affairs, H.E. 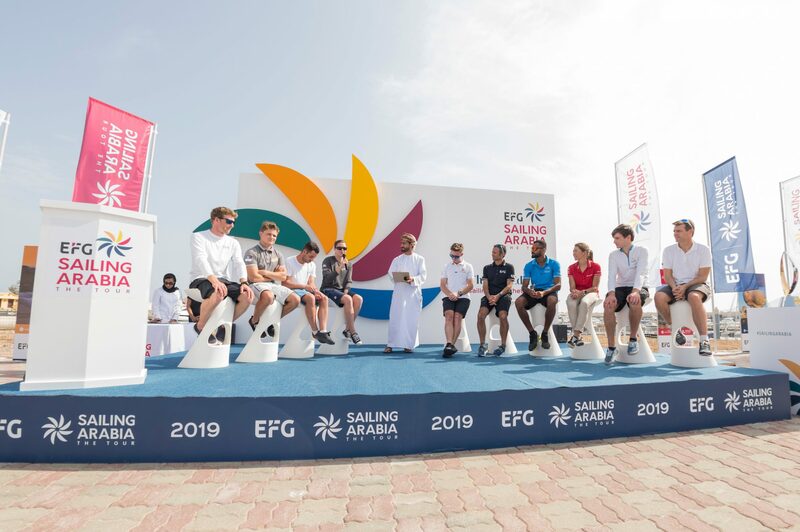 Sheikh Saad Mohammed Al Mardhof Al Sadi, was guest of honour at the EFG Sailing Arabia – The Tour opening ceremony held in front of other VIPs and the teams from all 10 of the boats taking part. 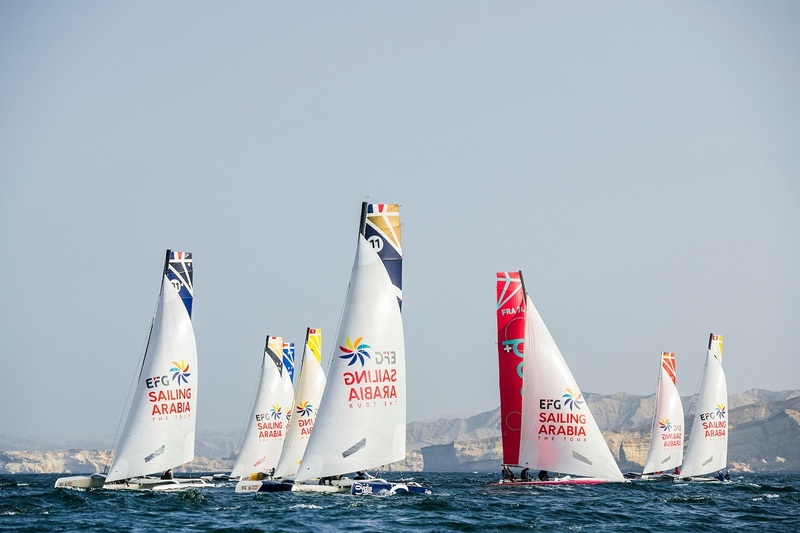 Oman Sail CEO David Graham highlighted the success of last year’s new-look event which introduced the high-speed Diam 24 boat and switched the focus to an entirely Oman-based course, and said its 2019 follow-up was set to build on that. “Oman is blessed to have over 2,000 kilometres of stunning coastline, so we thought ‘why go anywhere else’,” he said. 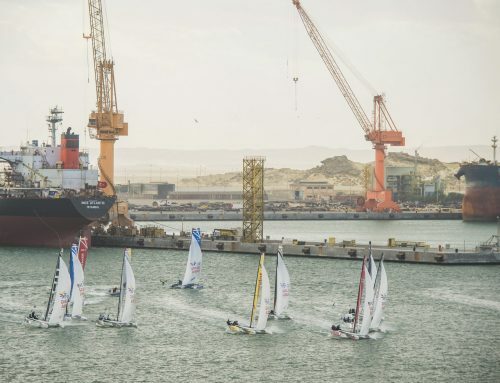 “The calibre of the sailors here this year has hit a high – Olympic sailors, Volvo Ocean Race sailors, and winners, America’s Cup sailors and a number of very impressive up and coming young sailors. Sunday’s stadium racing will be followed on Monday by a coastal raid, before the boats and teams move down the coast to Sur. Stadium racing and a coastal raid race will also be held there and at each of the following venues in Masirah Island, Duqm and finally in Salalah. 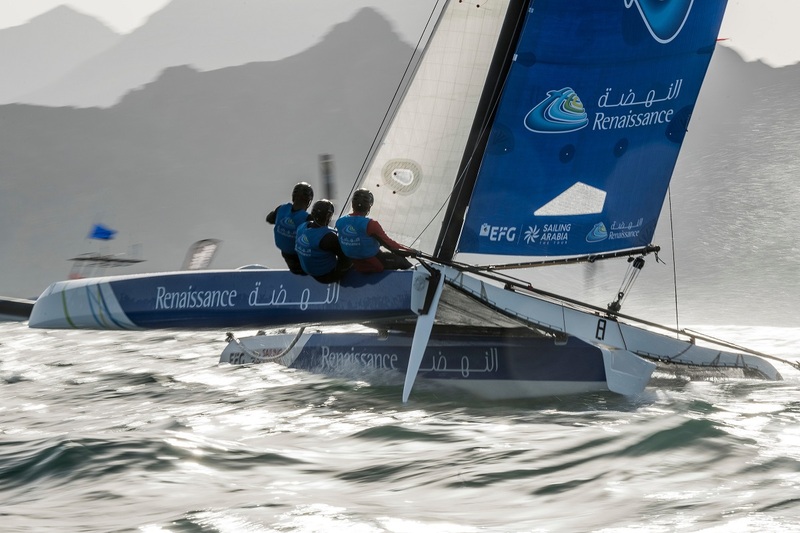 Skippered by Solune Robert, the Golfe du Morbihan team were a highly competitive fifth in last year’s Tour Voile and are already looking like one of the boats to beat in Oman. 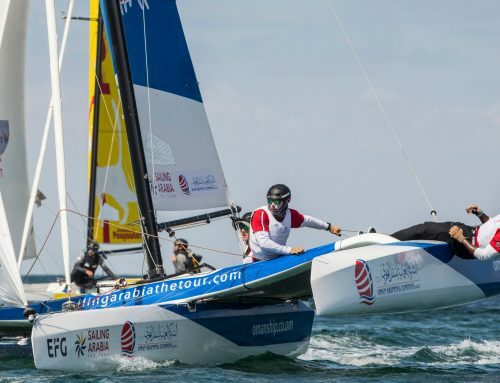 The Cheminée Poujoulat team also showed great early form with a win in the opening race of EFG Sailing Arabia – The Tour, backed up by strong results which saw them end the day in second place, just a point behind the leaders. Skipper Robin Follin said: “It was a good start for us – we had to keep it all very cool as the wind was quite strong. 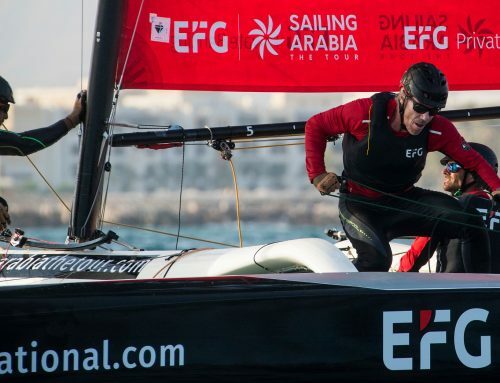 Also a race winner was four-time Tour Voile winner Damien Iehl, skipper of first-time Sailing Arabia entry MOOD. A third in the fourth and final race of the opening day saw them finish on the podium in third overall. Perhaps less happy with their first day results were defending champions Beijaflore, who were disqualified from the final race for being over the line at the start, an outcome which dropped the team to fourth overall. Also penalised for the same reason in the same race were one of the pre-regatta favourites EFG Bank, skippered by French star Franck Cammas. Earlier disappointing races with three successive seventh places saw the team end the opening day second from the bottom of the table.